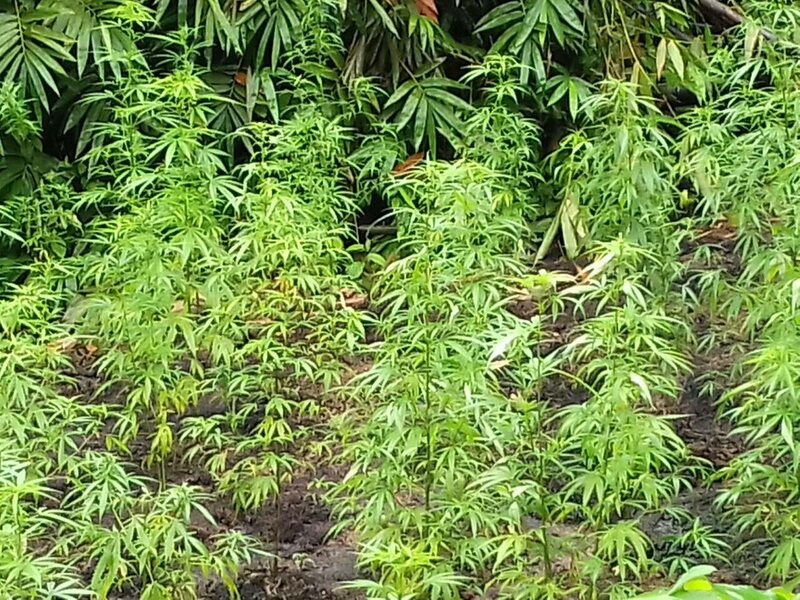 Eastern Division Task Force officers searched a bushy area at Caigual Road, Sangre Chiquito, on Thursday night and seized 68 packets of marijuana with a street value of $462,000, hidden in four containers. The drugs weighed 46.2 kilogrammes. No one was arrested but police believe the ganja was hidden by a gang leader from the district. Officers acting on information searched the containers into the early hours of Friday and also found a bulletproof vest. Reply to "Eastern Division cops close to $.5m marijuana"